The Micro Hauler is a tiny but extremely strong and efficient version of the Rescues Hauler. It comes in either single or double pulley versions. The cam is guaranteed for life. The pin must be removed to allow the rope to be removed or inserted. When the pin is in place it allows the cam to be opened just far enough to allow travel in both directions but it can not come out accidentally. Black andoized alumimum sideplates, two 1 1/4" aluminum sheaves, bushing and aluminum axle. Suggested uses: pick-offs, line transfers, inchworm systems, raising and lowering the foot end of a basket litter from vertical to horizontal and much more. 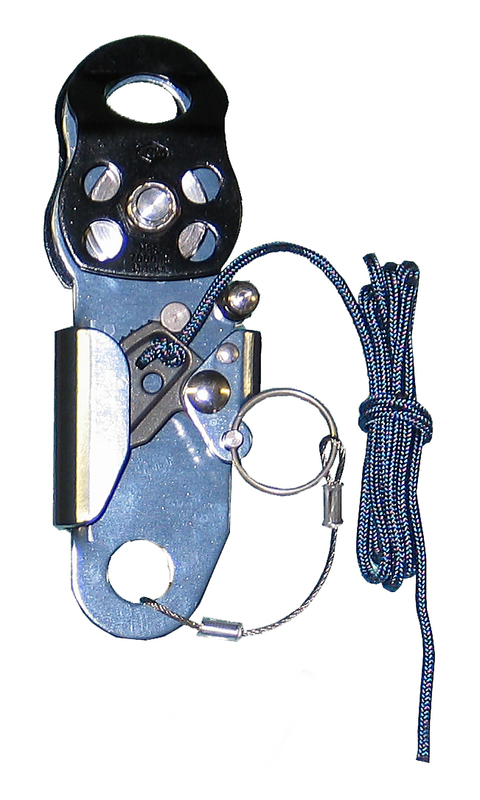 Skedco recommends using a 2 1/2 inch long screw link for attaching the rope at the bottom end of the Micro Hauler. Air Mask Small "The Original"